The Ardilaun Hotel has years of reputation for its fine dining experience in warm welcoming surroundings, the ideal choice for dining in Galway. Our award winning Camilaun Restaurant is noted for its sense of occasion, fine wines from our extensive wine list and freshly prepared cuisine by our Executive Chef Ultan Cooke and team. The Camilaun Restaurant at the Ardilaun Hotel Galway is open Monday to Friday from 7:30am to 10:00am, Saturday & Sunday from 7:30am to 10:30am for Breakfast and 18:30 to 21:00 for Dinner.Traditional Sunday Lunch is served from 1pm to 3pm. The Ardilaun Bistro offers a relaxing atmosphere in a traditional setting with food served all day from 12 noon until 21.00. Our popular Bistro menu and uses local produce and the finest quality ingredients. Our Bistro is family friendly with children's menus available. With free parking, it is a great place for dining in Galway. 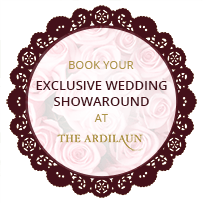 The Ardilaun also offer Afternoon Tea from 3-5pm. Booking is advisable. Hotel Gift Vouchers are available to use in our Bistro, Bar and Restaurant against all food and drink purchases. 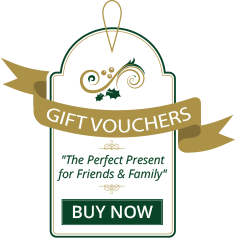 Surprise someone today and buy a gift voucher from The Ardilaun Hotel.